During one of the summer evenings, when we were discussing the meaning of life, we realized that the only thing we are missing in the city of kings, is a dance event which would provide us with an opportunity to participate in a workshop concerning our favorite dance-styles during the day, and give us a chance to discover the richness of Cuban rhythms during the parties at night. 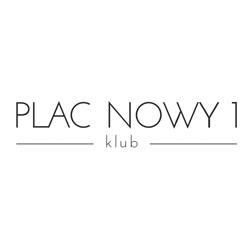 Following the following principle: “If we do not entertain ourselves, nobody will entertain us”, unanimously, we decided to create a festival of our dreams here in Cracow. Due to the fact that we’re far from being selfish, and that happiness is a thing to be shared (because then, contrary to what one may think, it gets multiplied), we would like to invite you to create our dreams in reality together with us. We would like you to feel good here, have great fun, so with full awareness of anything that could possibly happen, we would like to assure that everything is going to be done, to make the festival home, constructed with great attention to detail, become your home, as the Cubans would say: „Mi casa es su casa”. At the first glance, our story resembles other, similar ones. We have met during a party, exchanged our phone numbers and became facebook friends. Soon, our facebook albums started to feature dozens of photos of us together, and our diaries became filled with all of the adventures through which we went together. And this would probably be normal, had it not been for the dream that was created within us, at the same time - to create a festival which has never been witnessed before, in the world of Salsa. Looking for dance inspirations, we have visited numerous events, in Poland and abroad (Serbia, Spain, Greece, Tunisia, Bulgaria, Germany), in order to finally reach out to the source and visit Cuba. 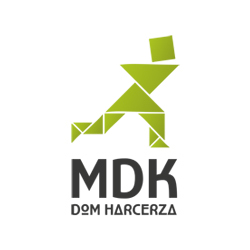 Even though our everyday jobs seem to be mundane, in the evening you may meet us around the dancefloors of Cracow, acting as dancers, course participants and instructors. Our dancing skills have been presented on numerous stages, however, we think that applause from even the largest audience cannot replace the smile on your partner’s happy face during a true Cuban fiesta :) Maybe this sounds far-fetched, but we consider music, especially the Cuban music, to have a soothing effect, and that there is no thing which is more beautiful than interpretation of such music with the use of sophisticated moves. Was born in Santiago de Cuba. She studied Cuban folklore, ballet and modern dance at Escuela Vocacional de Arte. She danced in famous groups such as Danza Teatro del Caribe or Ballet Folklórico de Oriente.She was the winner of many dance competitions organized in Cuba, for exampleof casino, rueda and son. Currently she lives in Moscow. Dianabelieves that it is not only dance that matters, a very important part of her work is to spread Cuban culture in Russia and other countries where she gives many workshops on the biggest salsa festivals. Was born in Havana. He took his first dance class at the age of five. He went to Escuela de Danza y Teatro and soon got noticed by its director Tony Menéndez, who gave him an opportunity to dance in his group. 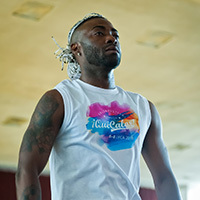 He was a member and soloist of various dance companies such as Havana Dance Star and YolDance. He performed as a dancer in many movies and videos. People from all over the world love workshops of his unique New Style. Yoandy is very charismatic, full of energy and creative in combining a lot of different dance styles. Osmani Segura is a dancer, instructor and choreographer. He is specializing in Cuban salsa, reggaeton, rumba, Afro-Cuban dances, nonetheless, other styles are not an unexplored area for him. He was born in Havana where, for many years, he has been perfecting his skills and expertise related to traditional dance styles. His career, as a performer, began in the Sabor Latino group. After he came to Germany, he used to perform with groups such as Just Blaze, Mezcla Perfecta, Latin Instinct Dance company or Los Freakos. Currently, Osmani Segura is focused on teaching, he is also involved in close collaboration with numerous festivals and salsa congresses all around the world. Studied dance education and graduated in 2004 at the ISA, the University of Artin Havana, with honors. Following his studies, he even worked as a teacher at the ISA. 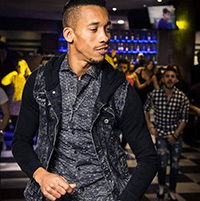 He focuses on the traditional dance bailespopulares (son, mambo, chachachá) as well as Afro-Cuban dances, rumba, modern dance and of course on salsa and reggaetón. 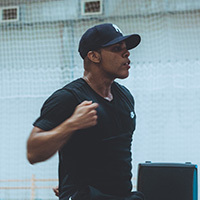 Yoyo is not only an excellent dancer with outstanding didactic skills, but also an enthusiastic and charismatic person, whose positive attitude electrifies the audience and his students immediately. Was born in Havana. She began her artistic path from classical dance lessons at the age of 6. 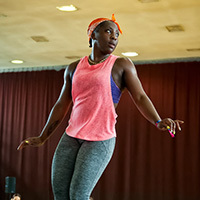 She studied in Pro-Danza de Cuba center, leaded by Laura Alonso. When she was 11 she won the second prize in the Alicia Alonso’s competition. In 2003 she graduated from very prestigious Escuela Nacional de Arte. She danced in Teatro América, where her career was very successful and she became a principal dancer. Currently she lives in Rome, sharing her passion during various international dance events. Was born in Hawana. He beganto dance in Casa de la Cultura and continuedhisstudies in Taller Juvenil del Teatro América de Cuba and Taller del Teatro Nacional de Cuba. After the graduation he joined the company of Teatro América, where he was constantly learning various dance techniques with teachers such as Domingo Pau, Juan Carlo Castaño,Santiango Alfonso and was a successful soloist. Now he lives in Rome, where he teaches in his own school Timba Mía. He also founded his own dance group Adoquin Company, which shares the passion for Cuban culture. Known as Ivancito Camagüey was born in Camagüey in Cuba. At the age of 8 he began his first steps in such dances as danzón, son, cha-cha, changüí. He got an education in the field of folk dances and modern dance in Escuela de Instructores de Artes Nicolás Guillén. He has cooperated with such groups as El Ciclón del Caribe and Oyance. In 2007 he moved to Italy where he began his international career. 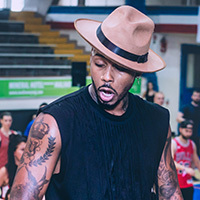 He is a dancer and teacher of rumba, afro, contemporary dance, Columbia, Cuban salsa, timba and reggaeton. Was born in Camagüey, Cuba. She attended the Eide Cerro Pelado school, where she was practicing running. However, it was dance that was the true passion of hers ever since, and to dance she devoted her sporting career. She started her education at the Ballet Folklórico de Camagüey school, where she learned all about the Afro-Cuban dance. Then she became a part of the Danza Cuba group, with which she enhanced her professional dancing skills. 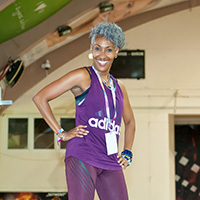 Currently residing in Poland, she works as a dance and zumba instructor. Regla is full of positive energy, and this very energy is passed on to the course participants, during every class. Has accumulated his all-round dance skills thanks to the most important dance schools of Cuba: Escuela Nacional de Arte and Instituto Superior de Arte. He is also an experienced performer, who was a member of dance groups such as Raíces Profundas or Conjunto Folklórico Nacional. He also was a dancer and a choreographer in the Yoruba Andabo group. 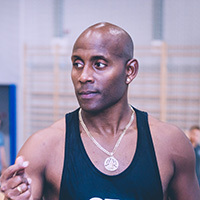 He was successful all around the world, also as an Instructor specializing in Afro-Cuban dances. He never gives up, while hard work is his top driving value. During many years of his career, he became an icon of the dance world. 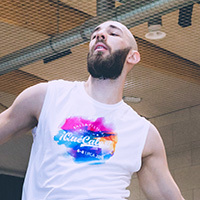 Co-founder of the La Clave dance school from Katowice, he is a choreographer, founder of the Clave Koksy dance group which performed during numerous festivals in Poland and abroad. He is also a lover of Cuban culture and music in its purest, unchanged form. He has peculiar skills at his disposal, as he interconnects dance and musical knowledge that remains at his disposal. His repertoire includes any dance genre you could imagine: folk, rumba, bailespopulares, bailes de salón, bailes campesinos, reggaetón, timba. 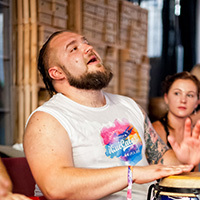 Knowledge of so many techniques allows him to fuse them in a harmonious way, expressing the dance creativity. Considers the work he does his passion and lifestyle. He says that he wants to give to the people not only his music, but also good energy. He observes the dancefloor and tries to choose what dancers like the most. He knows a lot about Cuban music and also about different styles from various periods of time. DJ Lao puts all of his heart in the work he does and he is very active in the dancing world.He worked with some of the most famous Cuban bands and he visits various events, not only in Spain, where he lives, but in the whole Europe. Pole by birth, Cuban by beliefs and love. 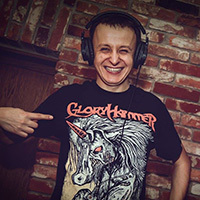 He is the owner of one of the biggest collection of timba music in Poland. He is in love with Cuban music and dance since 2009. 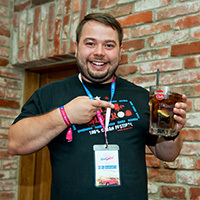 He shares his passion for this culture at events in Poland and abroad. What is the menu? Timba for breakfast, rumba for dinner, son for supper and reggaetón for dessert. 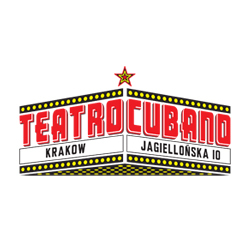 These rarities you can try for example at: I am Cuban All Star, Calle de Timberos, Warsaw Cuban Festival by Bachaturo, Summer Salsa Trip, Mini Festival Cubano or Western Salsa Camp. Enjoy your meal! 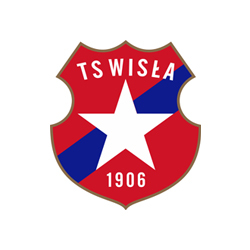 Is a breath of fresh and the real gem from Cracow. He started to dance in 2012 and last year became a salsa DJ. He is definitely a party animal, so he knows what kind of music dancers like the most. He can lure the people onto the dancefloor with some slower songs, just to surprise them with the real bomb! In his collection he has a lot of salsa classics, as well as the newest hits. But be careful, if he dances a song that he knows well (and he knows many…) there are no excuses. Even if his partner doesn’t know it, she will dance to all the accents. 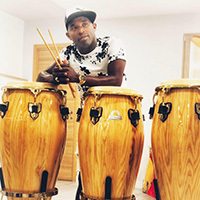 Is a percussionist and singer. He began to study Cuban rhythms at very young age. For three years he was a member of a famous group Rumbatá. He worked with Conjunto Folclorico Camagüey, one of the best ballet companies in Cuba, for over a decade, as a dancer, musician and vocalist, studying Cuban folklore. He lives in Europe for 12 years now, collaborating with the most prestigious schools in France and Italy. He’s being invited to all important international dance and percussion events..
Was born in Havana. He is a professional musician with more than 20 years of experience. He plays not only rumba and Afro-Cuban dances, but also salsa, son, bolero and much more. He performed during some of the most prestigious events in Cuba and other countries. He played with a lot of folk groups in many cities of the whole island. 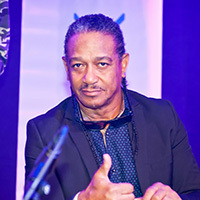 He worked with the legends of Cuban music, for example Yoruba Andabo. He won a lot of important music awards. He likes to share his knowledge with the participants of many festivals he is invited to. 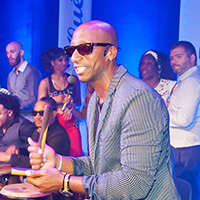 Is cajon, conga, drumset and percussion player. His greatest passion is everything that’s percussive, full of life and emotions. He works with many famous soloists and bands from all over the world. 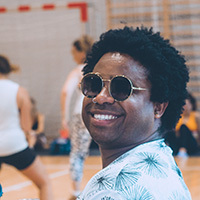 Mustafa has accompanied many afro-cuban dance classes on festivals in Poland and Europe. He never stops learning and exploring the music cosmos. He has recorded many CDs with different kinds of music (latin, club, jazz reggae, gospel). We highly recommend you accommodation in hostel on the campus of the AGH University of Science and Technology. 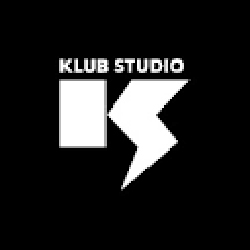 ✪ studio for one person. All studios have 2 rooms with one bathroom and kitchenette. There are towels and free Wi-Fi. Breakfast is included.